Cambrex is the leading small molecule company that provides drug substance and drug product services across the entire drug lifecycle. Driven by passion, our pharmaceutical products, expertise and technologies accelerate our customers’ small molecule therapeutics into markets across the world. 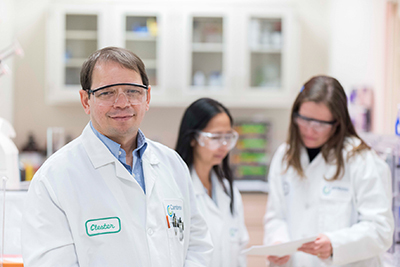 We truly offer our customers an end-to-end partnership for the research, development and manufacture of small molecule therapeutics at every stage of the drug lifecycle. Specialist technologies include enzymatic biotransformations, high potency APIs, high energy chemical synthesis, controlled substances, hot melt extrusion, fixed-dose combinations and continuous processing. This record has been viewed 678 times.